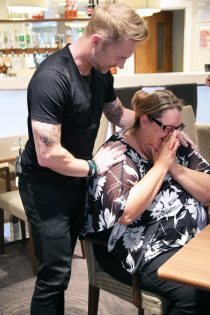 Four Ronan Keating superfans, staying at Holiday Inn Express Manchester – Oxford Road for his concert, got the surprise of a lifetime when the multi-platinum selling artist turned up unexpectedly at their hotel, just hours before he was due to perform on stage. To coincide with the launch of the Holiday Inn Express We Know What Matterscampaign, Holiday Inn Express arranged for the ex-Boyzone frontman to surprise the unsuspecting guests in a number of ways, from appearing behind the reception desk at check-in to knocking on their rooms under the guise of being from the housekeeping department. 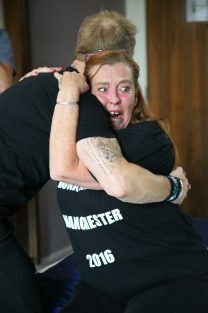 The fans, who had travelled across the country for Ronan’s Time of My Life concert at Manchester’s O2 Apollo, were left truly astonished. 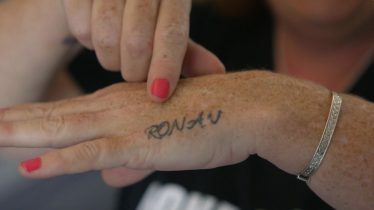 Krissy Ramsden from Leeds, who is such a huge fan she named her son Roman after her idol, almost fainted when Ronan popped out from the reception desk during check in, as did Debbie Brown from Peterborough, who’s such a huge fan she has Ronan’s name tattooed on her hand. Holiday Inn Express takes care of what matters inside the hotel – from free wifi, breakfast, shower and a comfy bed – so that customers can enjoy what matters most to them outside of the hotel; whether they are celebrating a christening or going to concert. For more information on Holiday Inn Express, visit IHG.com.